Day after day I hear my patients mention that they can’t do a certain activity because they get light headed or nauseous. This doesn’t have to be the case. Physical therapy can evaluate and likely treat this condition when appropriate. 90% of the time this condition is caused by BPPV (Benign paroxysmal positional vertigo).2 BPPV is a condition that is most commonly seen with people over the age of 50.2 “Most often, BPPV occurs spontaneously, but it also may follow head trauma, neuritis affecting the superior vestibular nerve, or ischemia in the distribution of the anterior vestibular artery.”3 What happens occurs in the inner ear and it affects the vestibular system. This system is in charge of coordinating movement with where the body is in space. Inside the inner ear are crystals (otoconia) located in the canals (semicircular canals) and may become dislodged and throw off a person’s proprioception (sense of where they are in space). If this occurs the individual can have the feeling of the room spinning around them causing nausea, light headedness, and even potentially fall over! Additional treatments would typically include performing the maneuvers again if you are still suffering from unsteadiness. Also, different exercises can be done to improve balance and visual acuity. VOR (vestibular ocular reflex) exercises, balance training, and soft tissue or spinal manipulation treatment for muscular issues. VOR exercises include gaze stabilization exercises, balance retraining, and vestibular habituation. Gaze stabilization is done to help someone’s ability to stabilize, track, and pursue an object with their vision. This helps someone that may be motion sensitive. Balance retraining involves challenging how someone reacts to sitting or standing on different stable or unstable surfaces. Habituation involves upsetting the persons’ vestibular system and actually making them feel dizzy A comprehensive home exercise program is created for the individual to challenge their vestibular systems. 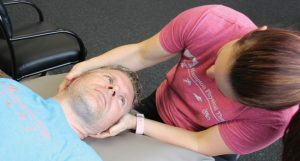 These exercises can also be useful in treatment with patients with post-concussion symptoms. After a head injury where someone loses consciousness this patient has a concussion. So there has been trauma and damage to the brain. 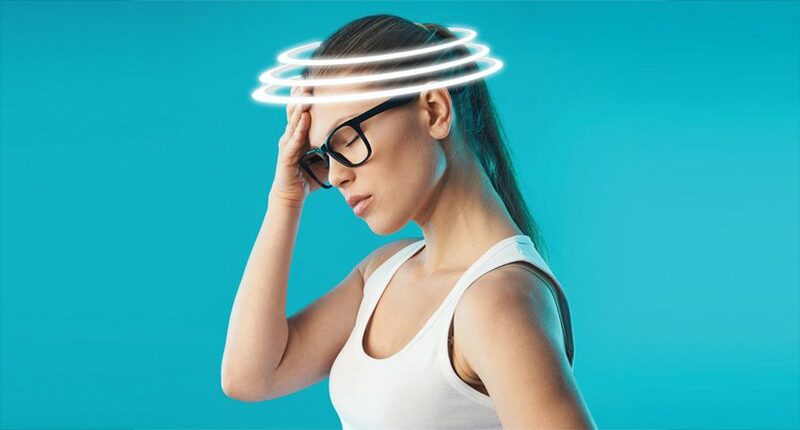 Patients can suffer from an under active vestibular system Following this injury people can suffer from memory fog, vision issues, fatigue and just not feeling like themselves. It is recommended that for proper healing of the brain tissue they should abstain from their sport or typical activity level for 30 days.3 If symptoms persist for longer than 90 days the person falls under the post-concussion category.3 These patients can benefit from physical therapy. If you are suffering from dizziness Hampton Physical Therapy is here to help. Call for an evaluation. When you call we recommend stopping any anti-dizziness medication for 24 hours prior to treatment in order to be properly screened. We can get you scheduled ASAP, you should bring a driver for your safety. Don’t suffer any longer when you can be seen in a matter of days and start living your life again! 1. Neuhuaser HK. The epidemiology of dizziness and vertigo. Handbook Clinical Neurology. 2016;137:67-82. doi: 10.1016/B978-0-444-63437-5.00005-4. 2. American Musculoskeletal Institute. Vestibular rehabilitation specialist handbook. 2017. 3. Herdman SJ. Benign Paroxysmal Positional Vertigo.